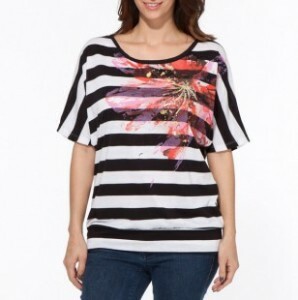 Spring Tops for Women Only $15.00 Each! HOT! Welcome spring with this smokin’ selection of embroidered tanks, peasant tops, classic button-front shirts and so much more! Fashioned with pleasing prints, ravishing ruffles and affordable price tags, it pays to stock up now! All tops are priced at only $15 each – Regularly around $49.00!! Click here to view the entire sale selection! Spring Tops for Women Under $12.00 Each! HOT! Step into the style spotlight! Day or night, dressed up or dressed down, this irresistible collection will give any closet a fresh update. With its ruffled details, feminine designs, and always flattering fits, you’ll be looking forward to outfitting for the season in a whole new (and ultra-polished!) way. Click here to view the entire sale selection!